On Aug. 9, Sagitec was named Microsoft State and Local Government Solution Partner of the Year for 2016. The award was announced at the annual Microsoft U.S. Public Sector Kickoff and Industry Solution University event held in Washington, D.C. The award recognizes Sagitec’s excellence in providing public sector customers innovative and unique solutions based on Microsoft technologies. 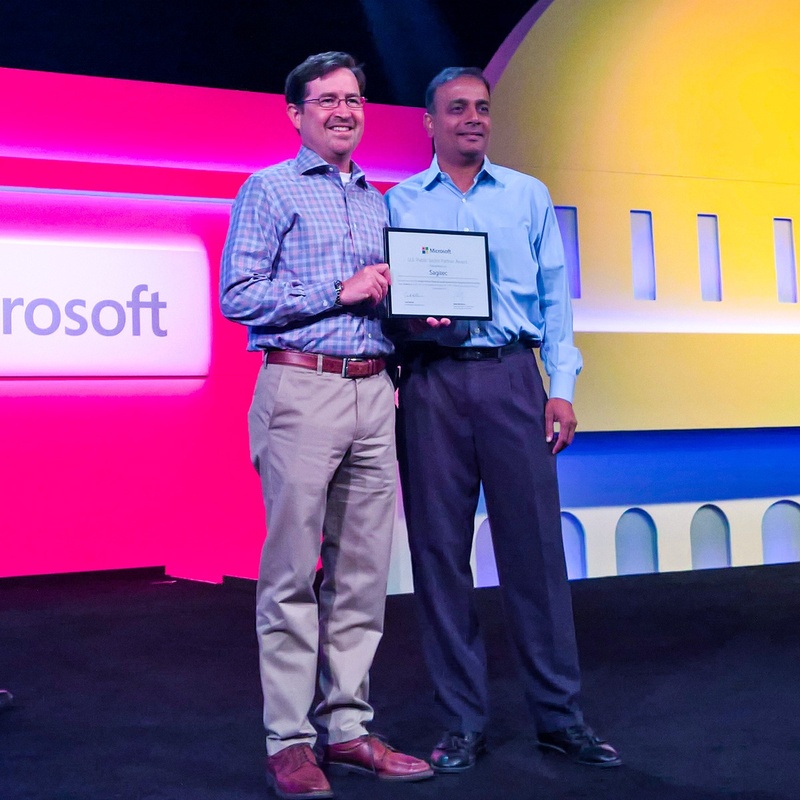 Sagitec Partner Ranjith Kotcherlakota (right) received the prestigious technology award at the annual award ceremony on Aug. 9.